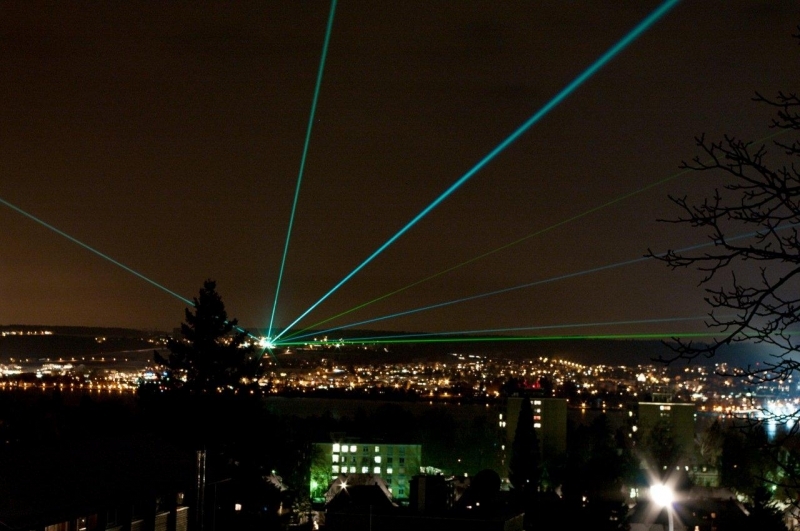 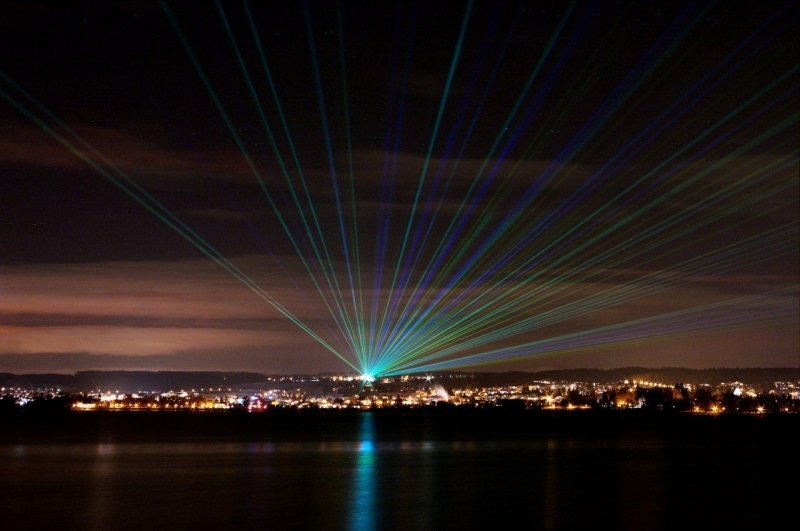 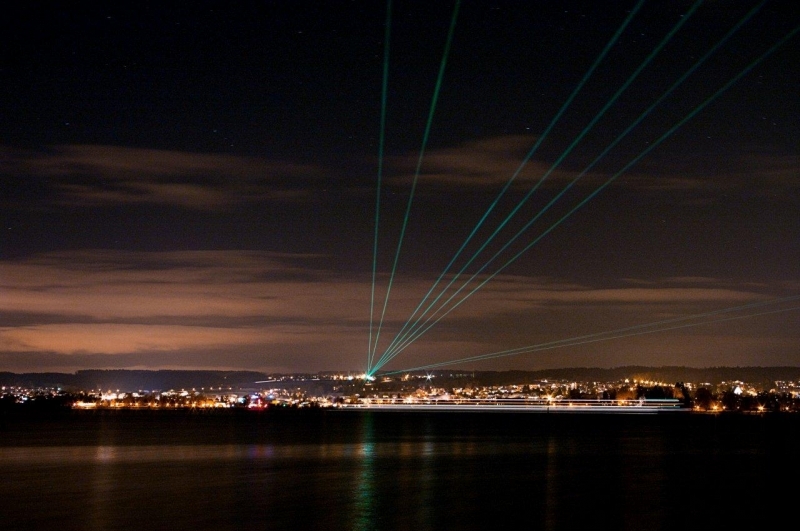 Laserworld has sent laser beams over Lake Constance. 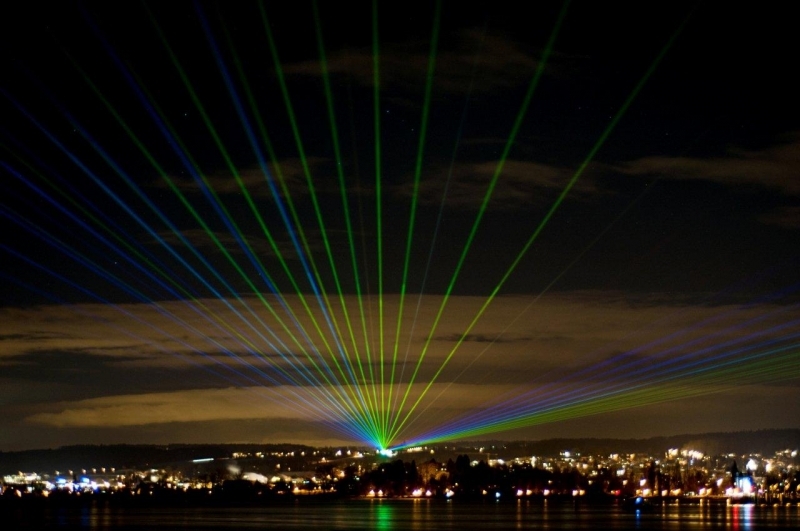 Laserworld caused a sensation on the evening of the 6th of December 2012 and attracted high attention to the media. 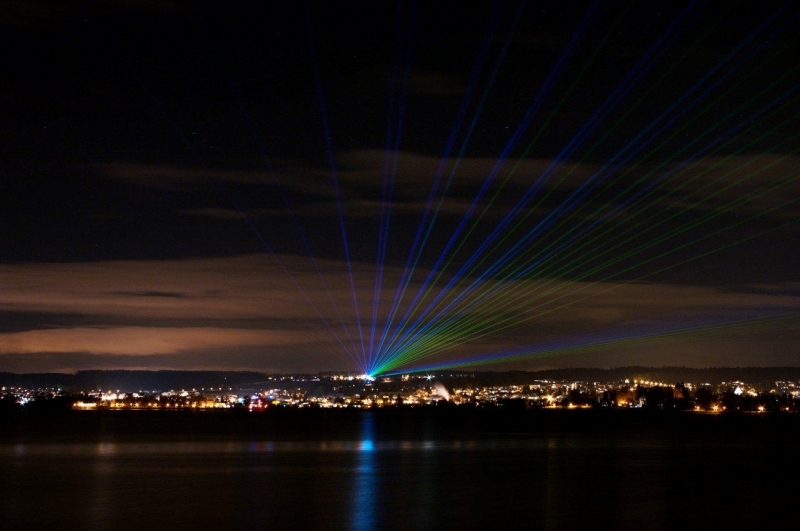 Eight high end devices of the RTI Piko and Nano Series have been used with a total power of more than 250 Watt to send laser beams over Lake Constance in Germany and Switzerland. 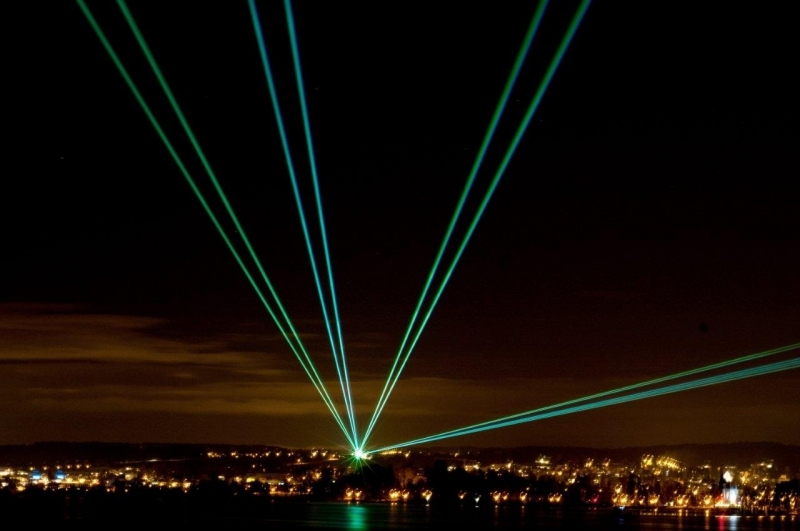 Laserworld caused a sensation on the evening of the 6th of December 2012 and attracted high attention to the media. 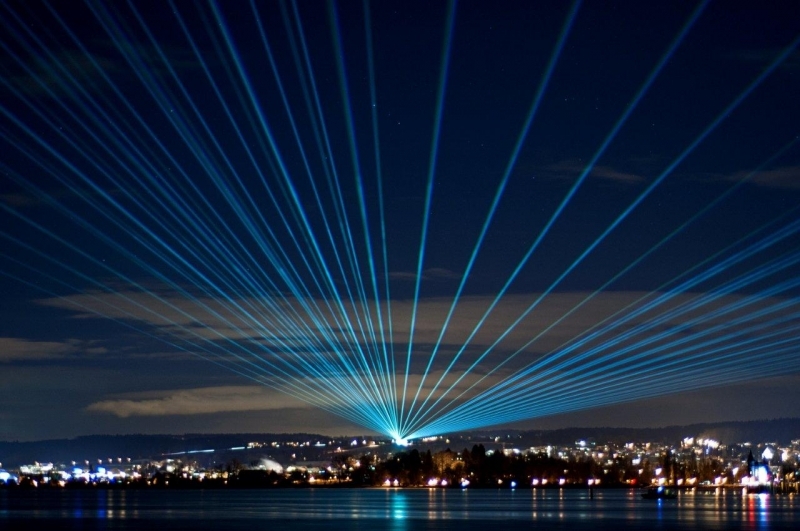 Eight high end devices of the RTI Piko and Nano Series have been used with a total power of more than 250 Watt to send laser beams over Lake Constance in Germany and Switzerland. 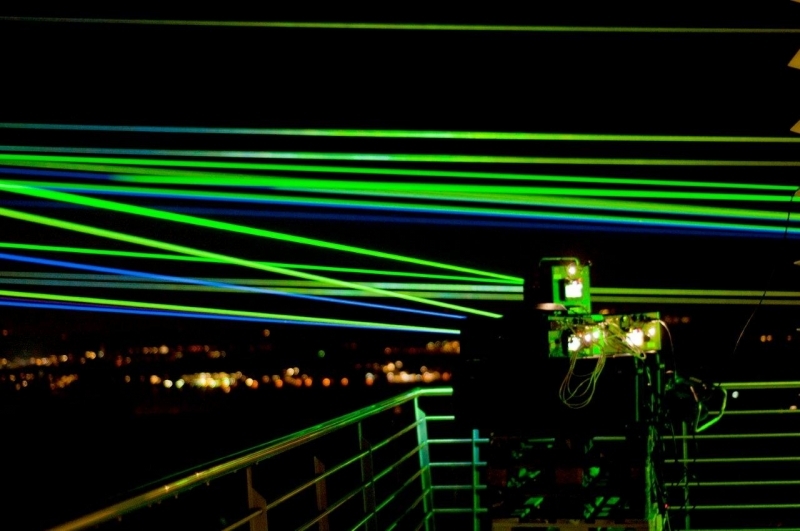 The laser systems were located on the roof of Laserworld's headquarters with fascinating pictures to prove. 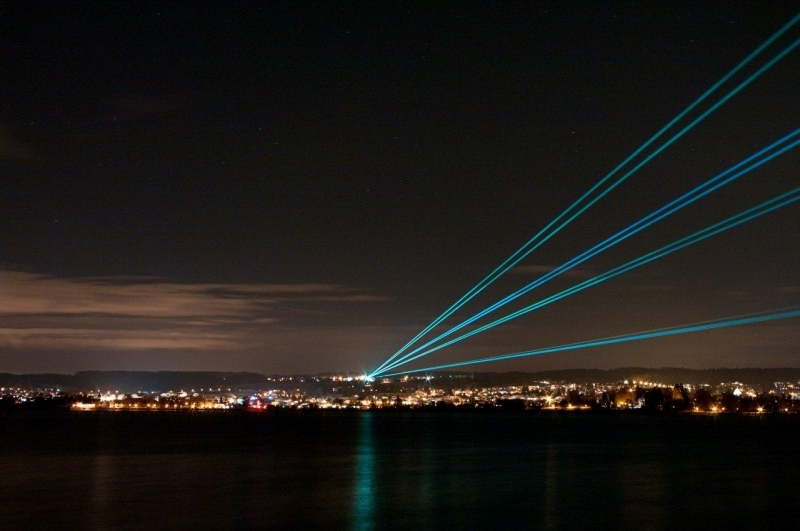 This is the result of a product demonstration for some customers from Asia. 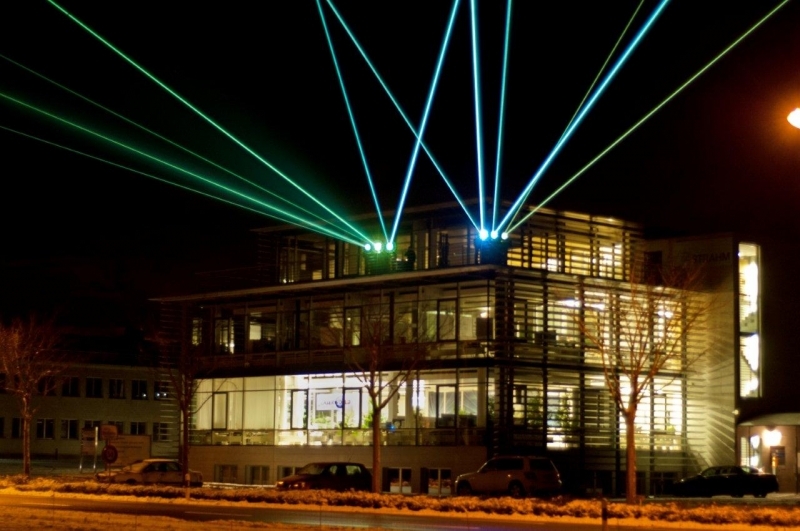 The projectors were installed in Lengwil (Switzerland) on the roof of the LaserworldÂ´s head office. 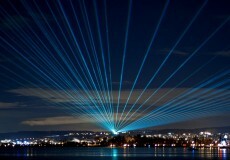 The beams were shoot into the sky over Constance.